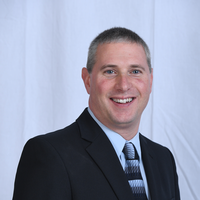 Dr. Alan Kanouff joined the Altoona Lung Specialists in 2009. He received his education at the Pennsylvania State University in University Park, Pennsylvania, and his medical education at the Philadelphia College of Osteopathic Medicine. He performed his residency at Conemaugh Valley Memorial Hospital in Johnstown, Pennsylvania, and underwent his pulmonary training at Allegheny General Hospital in Pittsburgh, Pennsylvania. Dr. Kanouff is certified by the American Board of Internal Medicine in Sleep Medicine and Pulmonary Diseases. He is also certified in Critical Care Medicine and Internal Medicine and is licensed by the State of Pennsylvania as a Doctor of Osteopathy. Dr. Kanouff has the distinction of being a Fellow of the American College of Chest Physicians. Dr. Kanouff was born in Lock Haven, Pennsylvania, and raised in Coalport, Clearfield County, Pennsylvania. He and his wife, Melody, currently reside in Hollidaysburg, Pennsylvania with their four children. Dr. Kanouff enjoys hunting and fishing, and he is a loyal Pittsburgh Steelers football fan. Dr. Kanouff has been published on many topics, including Prevention of Nosocomial Infections in the Intensive Care Unit, Ventilator-Associated Pneumonia, and Pulmonary Hypertension.